Paul is an experienced trainer and a visiting lecturer on the Henley Business School MBA programme. His areas of expertise include strategic and financial planning; corporate governance; board and director development; financial modelling; deal negotiation; performance management and leadership skills. He researches and writes courses on these topics, delivering training to private and public sector delegates from many regions and backgrounds, working regularly in the UK and Middle East. He is also a highly experienced business executive: after training in world class companies, including Asda, H J Heinz and Pfizer, he became Regional Financial Controller for a leading oil services company. He subsequently gained more than twenty years’ experience as a main board director of a number of global media, publishing and retail companies. Paul has board-level experience in high-growth businesses: he was part of a senior management team that built a start-up business from annual sales of $10m to be sold for more than $200m. In other board director roles he was involved in dealing with significant industry change, evolving market channels and supply chains. 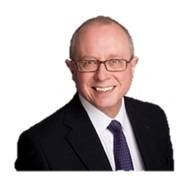 Using his hands-on experience of board-level strategic and financial planning, corporate governance, investment and acquisition decision-making, Paul brings his training courses to life with realistic case studies and vivid examples from real businesses. Paul has delivered excellent training on our behalf over a number of years for clients such as Scott Bader, the Institution of Mechanical Engineers (IMechE), Quarr Group, PPL, De Lage Landen, Stevenage Leisure, Reviss, Tewinbury Farm Hotel, The Wine Society, etc, etc. Paul is a Fellow of the Chartered Institute of Management Accountants, a Chartered Global Management Accountant and is also a Fellow of the Institute of Leadership and Management. Paul is based in Princes Risborough, Buckinghamshire.